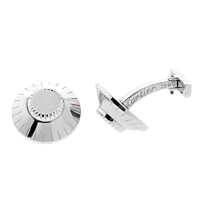 A pair of Cartier cufflinks in 18k white gold, created with a safe combination motif. They feature a rotating center station and are modeled in great detail. 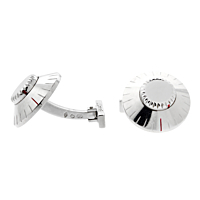 These Cartier white gold cufflinks will match shirts in any color and are beautifully stylish.